The 3rd edition of the AMPlify (Art Music Plus) framework of artist development programs aimed at providing an opportunity for a composer/creative musician with professional experience and standing to work with German jazz pianist Julia Kadel, resulting in new works and, potentially, live performance and recording outcomes. Fully funded travel, accommodation, and a commission fee, were part of this initiative, made possible through a partnership between the Australian Music Centre and the APRA AMCOS SongHubs program. 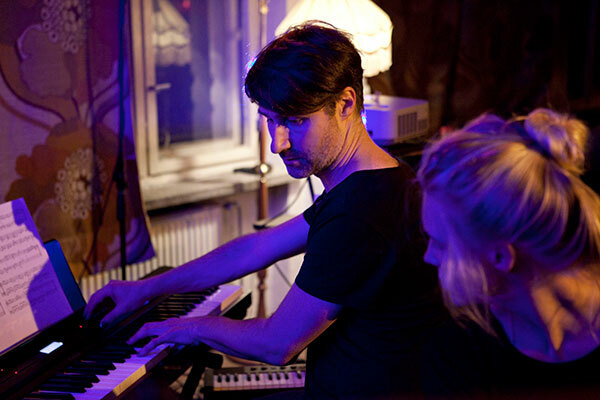 Julia Kagel and Julian Day performing in Berlin in October 2017. The successful applicant, composer and sound artist Julian Day spent a period working with Kadel in Berlin in October 2017. The collaboration resulted in How To Fail (Together), a performative essay involving compositions, stage actions, lectures, games, images and video. The project contemplated the concept of failure as well as the nature of collaboration, and re-evaluated the concert ritual, breaking down such expectations as where the audience sits, who choreographs the performers and how the music evolves. Three experimental How to Fail (Together) concerts take place in Berlin (10 October, 20 October and 26 October). Day and Kadel are also recording a set of audio and video works as part of the program. Julia Kadel's musical range varies between the genres of contemporary jazz, free improvisation and new music. Kadel's music has been featured internationally in England, France, Italy, Poland, Hungary, Czech Republic, Russia and Turkey. Kadel is involved in many national and international projects, such as the new quartet 'Vor der Mauer/ Nach der Mauer' with German free-jazz legends Günter Baby Sommer (drums) and Friedhelm Schönfeld (saxophone/clarinet), and her duo with the French-Turkish cellist Anil Eraslan. Recent festival performances include festivals in Berlin, Strasbourg and Istanbul. AMPlify framework provides creative development opportunities for artists to create new works, and to reach new audiences. AMPlify projects are based on the concept of cross-genre and/or cross-artform collaborations. This edition of AMPlify is supported through SongHubs, an APRA AMCOS initiative which partners Australian creators with international collaborators to create new works. This project is supported by funding from the Federal Government. Applicants must be a member of APRA AMCOS, and a financial member of AMC. The participant is to be identified through a call for expressions of interest, with applicants pitching an idea of how they would exploit such an opportunity. An external panel appointed by AMC will assist in compiling a shortlist of EOIs, which is then presented to Julia Kadel to select the participant, potentially after Skype-meeting with each of the shortlisted composers. Travel costs, accommodation, and a per diem for the selected participant will be covered by the project partners. A commission fee will be negotiated based on work/s proposed. Registration fees and associated expenses involved in attending Jazzahead in Bremen will also be covered. 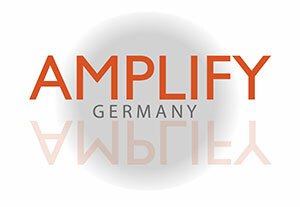 If you have further questions about this program, please with message subject AMPlify GERMANY.